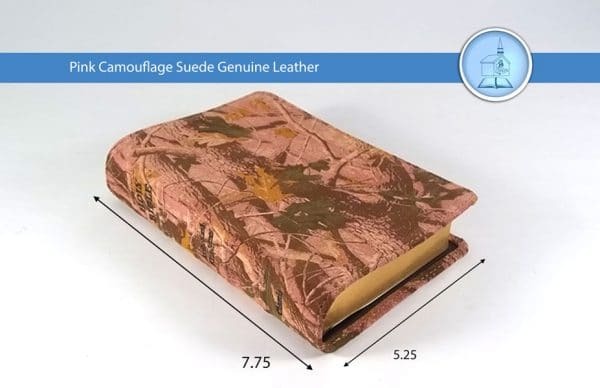 Available only in this size and text style, this Bible comes in a genuine camouflage suede leather cover. 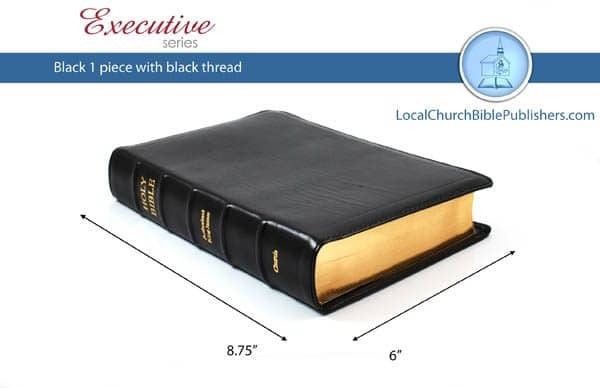 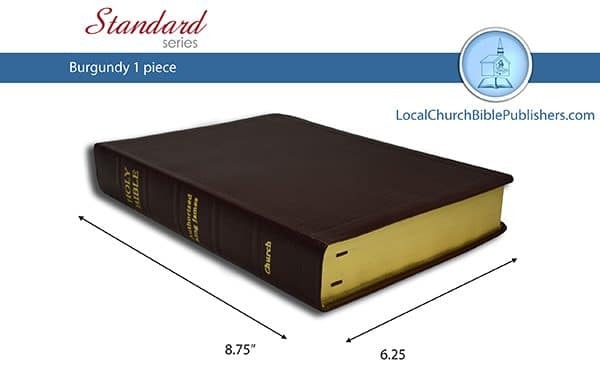 Hand bound with the same high quality in a great size for travel and convenience, this Bible comes with all of the same remarkable features that are offered in our other center column reference Bibles minus the note-taking margins. For further details about this item, review the product information given below. 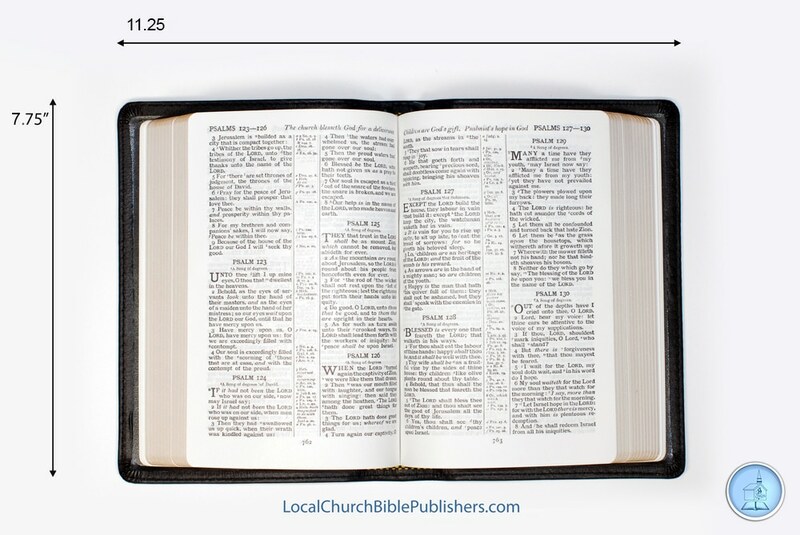 A letter from the original translators known as the “Translators to the Readers” is included as a preface in this Bible.